Quick fixes to save you money! Most of us freak out when we don’t know how to remedy dry and damaged hair on our own. Most times, fixing this issue doesn’t require a trip to the salon. There are a number of home remedies for dry and damaged hair that are effective. Some products of the products that you can use are right in your pantry. From coconut oil to drugstore treatments, here are the ways you can treat your dry and damaged hair and give it that healthy look and feel it deserves. We’re all head over heels for the benefits of coconut oil. Coconut oil has been used for years to treat hair and skin. 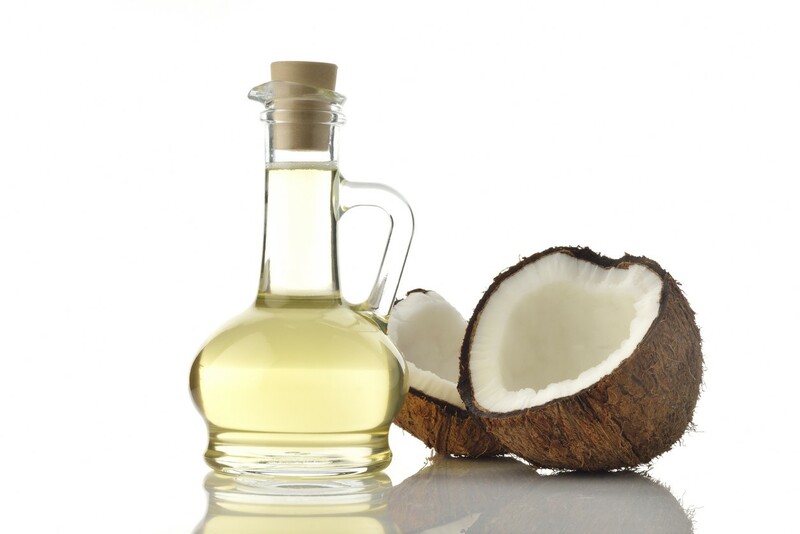 The use of coconut oil as a hair treatment can help repair hair, prevent damage and moisturize dry hair. 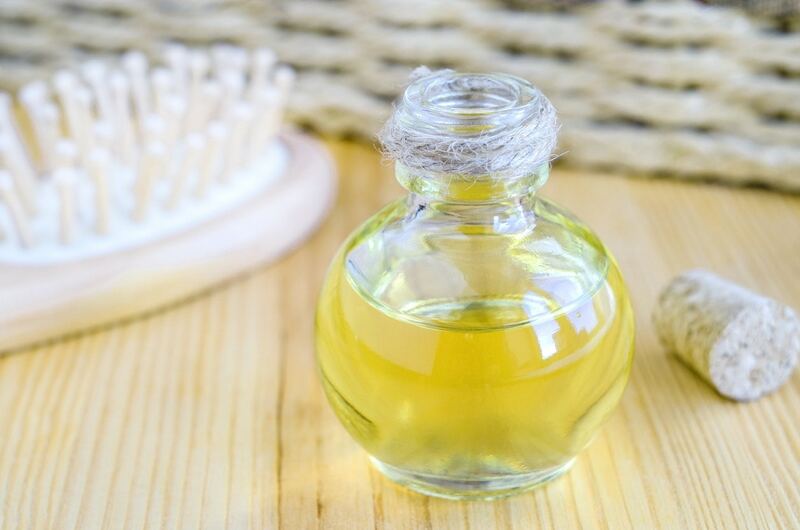 Apply coconut oil as a pre-wash treatment if you are worried about it leaving your hair too oily. 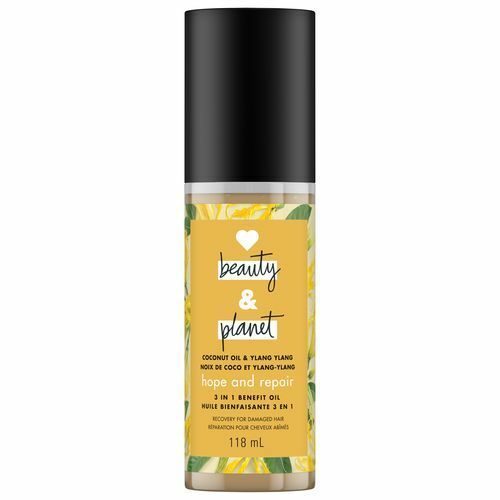 You can also incorporate wash and care products formulated with coconut oil like Love Beauty and Planet Hope And Repair Coconut Oil & Ylang Ylang 3-in-1 Benefit Oil to treat your hair. There are plenty of salon care treatments and hair masks that you can purchase over the counter at your local drugstore and use as one of your go-to home remedies for dry and damaged hair. One of our favorites is the Nexxus Keraphix line. 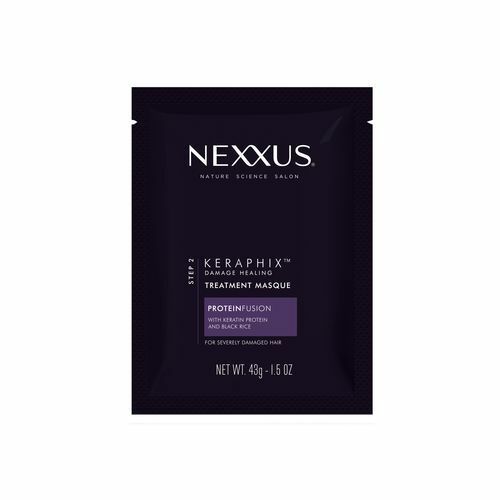 The Nexxus Keraphix Damage Healing Masque is a deep conditioning masque that envelopes the hair surface with an ultra-fine film to restore the protective barrier. You only need to leave it on for about 3-5 minutes. Using this helps heal roughness and brittleness for smooth and healthy-looking hair. Store your hot oil mix in a jar for later use. It’s very easy and cost-effective to create your own hot oil treatment at home. Whenever your hair seems dry or damaged, opt for warming up olive oil or argan oil to help restore your hair. 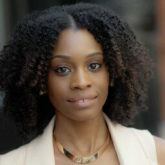 Hot oil treatments are great because it penetrates well, conditioning your strands from the inside out. You can mix the oil with a conditioner of your choice, or use it alone. Be sure to rinse well after use to get the oil out. If you have oily hair, we recommend a quick rinse of shampoo after your treatment. Get your keratin fix here!